Stéphane Mallarmé (1842–98) was a French Symbolist poet, theorist, and teacher whose ideas and legendary salons set the stage for twentieth-century experimentation in poetry, music, theater and art. A canonical figure in the legacy of modernism, Mallarmé was also a lifelong champion of the book as both a literary endeavor and a carefully crafted material object. 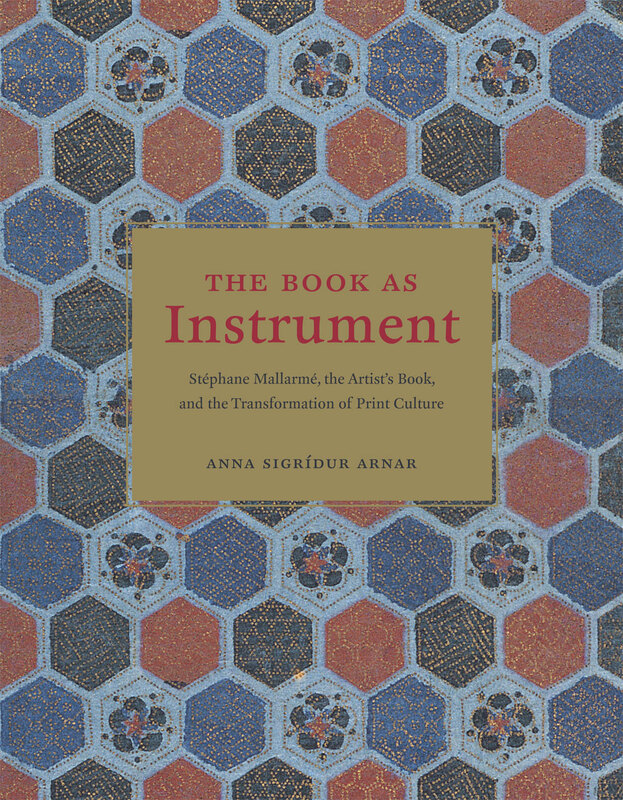 In The Book as Instrument, Anna Sigrídur Arnar explores how this object functioned for Mallarmé and his artistic circle, arguing that the book became a strategic site for encouraging a modern public to actively partake in the creative act, an idea that informed later twentieth-century developments such as conceptual and performance art. Arnar demonstrates that Mallarmé was invested in creating radically empowering reading experiences, and the diverse modalities he proposed for both reading and looking anticipate interactive media prevalent in today’s culture. In describing the world of books, visual culture, and mass media of the late nineteenth century, Arnar touches upon an array of themes that continues to preoccupy us in our own moment, including speculations on the future of the book. Enhanced by gorgeous illustrations, The Book as Instrument is sure to fascinate anyone interested in the ever-vibrant experiment between word and image that makes the page and the multi-sensory pleasures of reading.